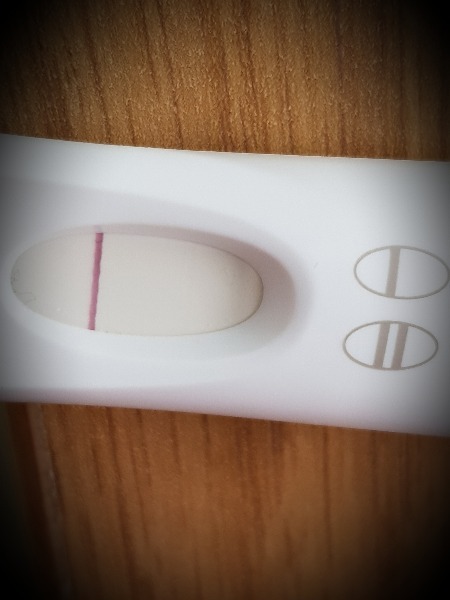 I don't know if am pregnant or not. Everyone else is sayin I am but I went to the hospital and got told am not. By urine. I'm really confused about everything I don't know what to do . 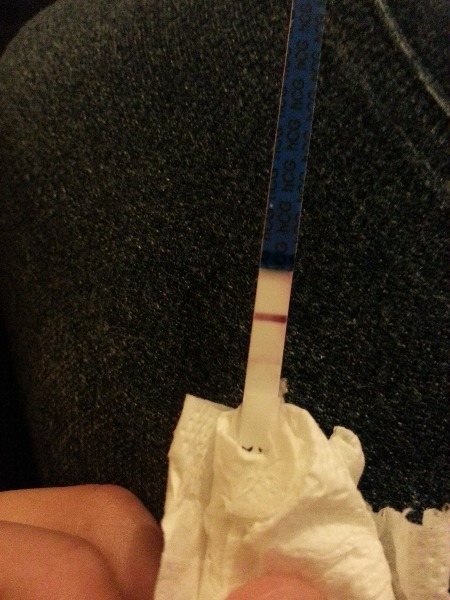 Hii I am new to this site..I had no periods for the past 3 months as I'm suffering from PCOD.I had done pregnancy test using first response but it was negative.I went for my holidays where I visited gynaecologist he gave me tablets to get my periods.After 3 days of finishing the tablets I started to bleed.First 3 days was a heavy flow with clots and then it was lighter.I checked the test which i had made 10 days before and surprisingly saw faint line.Now I am worried as I don't know if I was pregnant or not.If I was I already got abnormal bleed with medication. 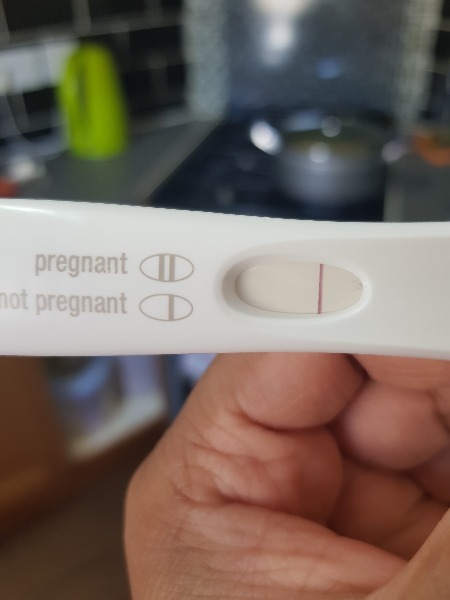 I'm in the same situation as you I don't know whether am pregnant or not. But mine looks different and last month I had period for a day and this month nothing. This looks positive to me.You can try with another brand and see the results.Good luck to you. 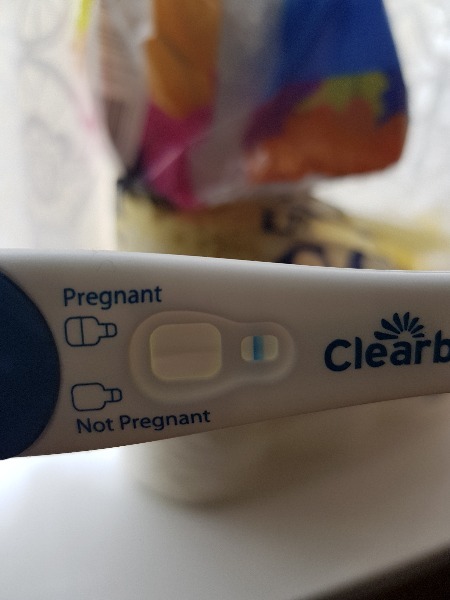 I tested today with clearblue and according to the results i should have 2 vertical lines if I am pregnant and 1 vertical line if I'm not.But in the result section instead of vertical line I got faint horizontal.Can anyone help me with this please?Confused. Thank you for your reply i will try to test back again tomorrow morning.Baby dust to all..